Today, I would like to share with you a clean and simple card. The card base is Whip Cream Cardstock. I then cut a piece of Good Life Pattern Paper and used the Corner Rounder to round the corners. 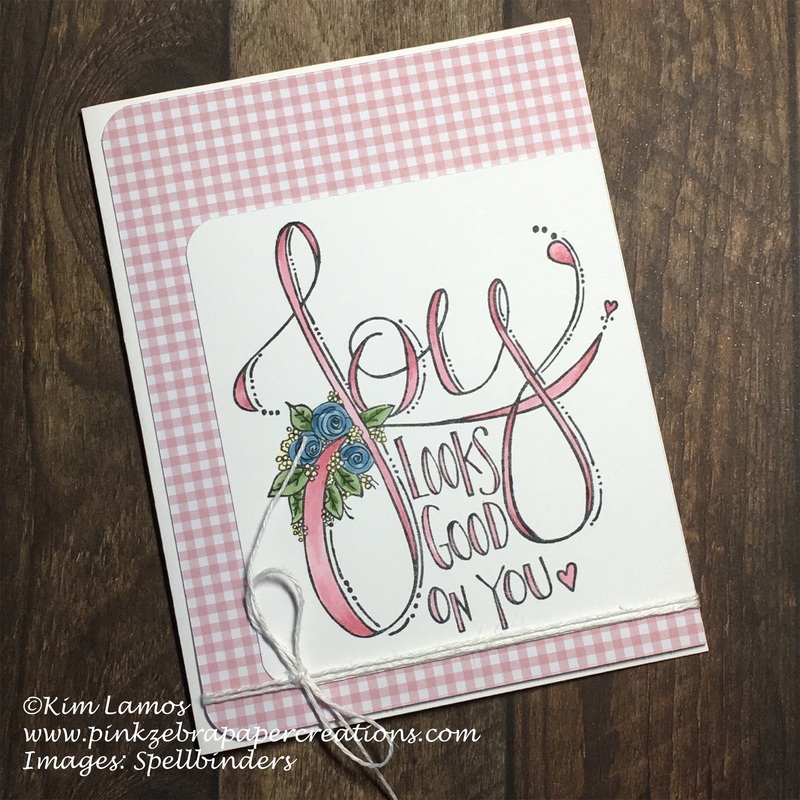 The sentiment, "Joy Looks Good on You", is a stamp by Spellbinders that I had. I colored it with my Copic markers. I rounded the corners on this piece and then placed it on the card. To finish the card, I added a Whip Cream Thread bow. All supplies, except the stamp, can be purchased here. What a lovely stamp, fabulous sentiment! Thanks so much for playing at AAA Cards, hope to see you joining in with our future challenges too.